Loren’s apartment is what I would like to call “The Art of Minimalist”. Though his apartment isn’t crowded with furniture, the spacing and the placing of the furniture is great. The way he leads a person around her whole apartment using the walls and archway is quite interesting, especially if done on purpose. And anyone needing to sit down should stop by here, because there are plenty of chairs! Bathing suits and wetsuits for non-PR’s will be released some time after. This week, we’ll be featuring HappySazzyz’s room, and her’s is organized quite differently. It seems, from the items displayed in her apartment, she is quite the collector, and more specifically, on wigs and clothes. The majority of the floorspace in the main room is used for hairs, and, the second room is basically a walk-in closet. There are several couches placed against the walls, looking very comfortable, I might add. The One-Month PR Subscription Giveaway has begun! Be sure to hit the ‘Like’ button on our Facebook announcement to be entered in the giveaway! In our latest Journal issue, we announced that we will be giving away a PR subscription of one month. This is available for both current PR’s and non-PR’s. If you are already a PR, then you will receive an additional month free. The giveaway starts today, and will continue for another week, till next Wednesday June 16th. This week’s featured room belongs to Socian THX. 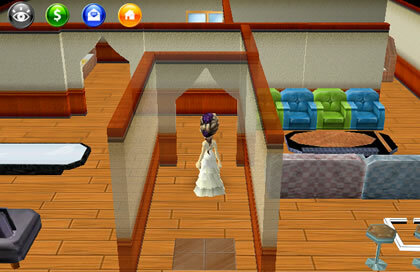 His room consists mostly of long and narrow hallways, which covers the majority of his one-room apartment. What seems to be the focus of his apartment is his walk-closet. 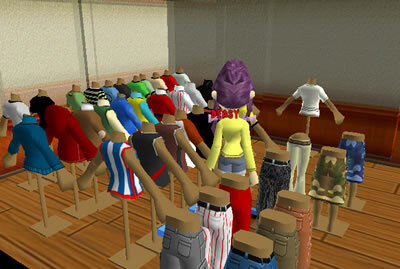 In one corner of the room, he has dedicated a large floorspace for his t-shirts, cameo shorts, shoes, and wigs, enough apparel to give Gee Cue a run for their money. 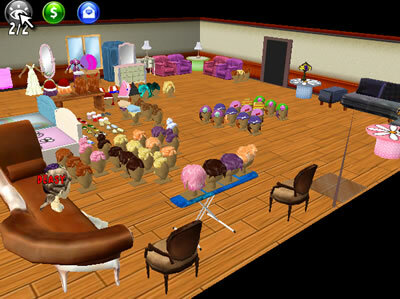 Several new hairstyles will be available in stores! Here is a sneak peek. 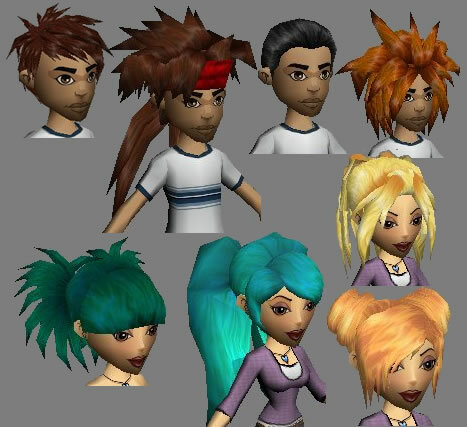 These hairstyles will also come in different colors.